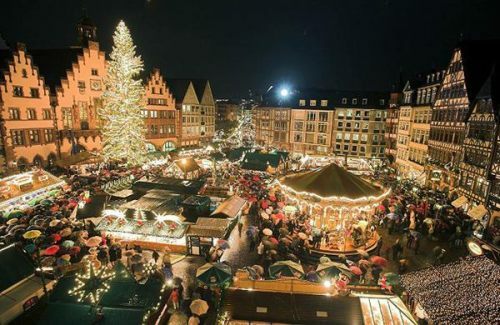 It's a miracle of miracles, there are some very good prices available on flights from Toronto to Calgary or Vancouver, over Christmas and New Years dates. Both are available for under $400 CAD roundtrip including taxes. 2. Search for a flight between Toronto and Calgary. Note that the $393 price is based on two people purchasing the flight. Sunwing is currently having a 'buy one fare, get 40% off the base fare of the second one' sale. Where to stay in Calgary or Vancouver ? The following AirBNB links will lead you to some great deals on places to stay in Calgary or Vancouver for under $99 CAD/night for 2 people. toronto, yyz, westjet, flight deals, sunwing, vancouver, british columbia, canada, bc, north america, calgary, alberta and yyc. 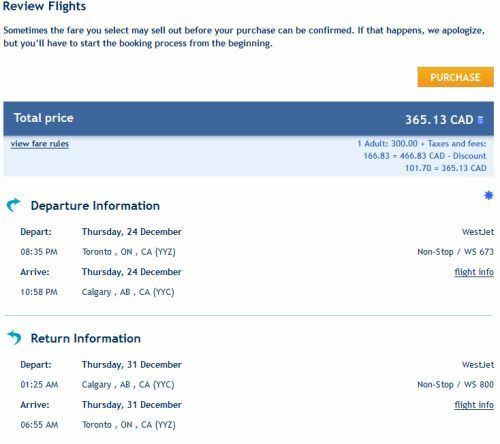 2 Responses to "Christmas flights from Toronto to Calgary or Vancouver - $349 to $393 CAD roundtrip including taxes"
WestJet promo link does not work. I guess I'm too late. Would be interested in those who successfully used the link. The WestJet promo expired at midnight last night. A friend of mine was able to get his flights to Calgary for Christmas under $400 all in. Great price!